This is an outstanding starter activity that will get your students engaging in the key words for the topic titled 'Adaptations'. 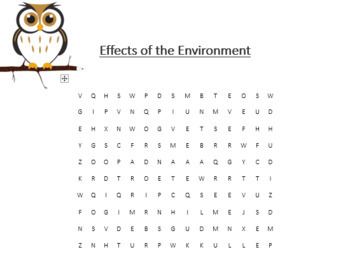 This is an outstanding starter activity that will get your students engaging in the key words for the topic titled 'Effects of the Environment'. This is an outstanding starter activity that will get your students engaging in the key words for the topic titled 'Variation'.